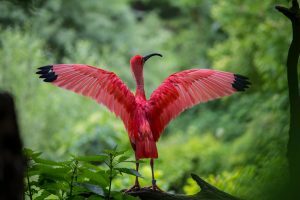 Switching from Photoshop to Affinity Photo can be a little daunting experience when you first think of it. 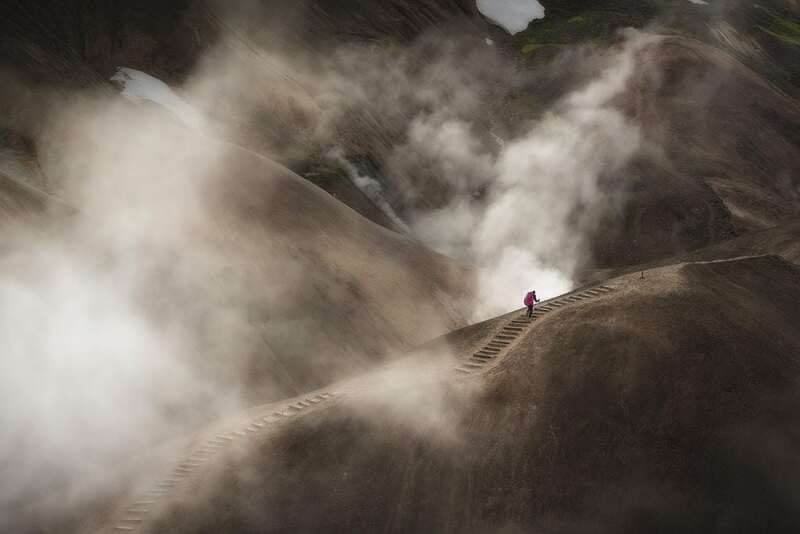 However, the transition is easier than you think and well worth it. 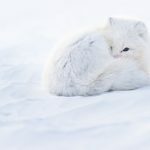 If you are using Nik Collection Plugins, you might wonder whether you can get them to work in Affinity Photo, or you also need to find alternatives to them too. 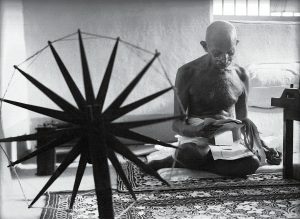 However, there is no need to worry. 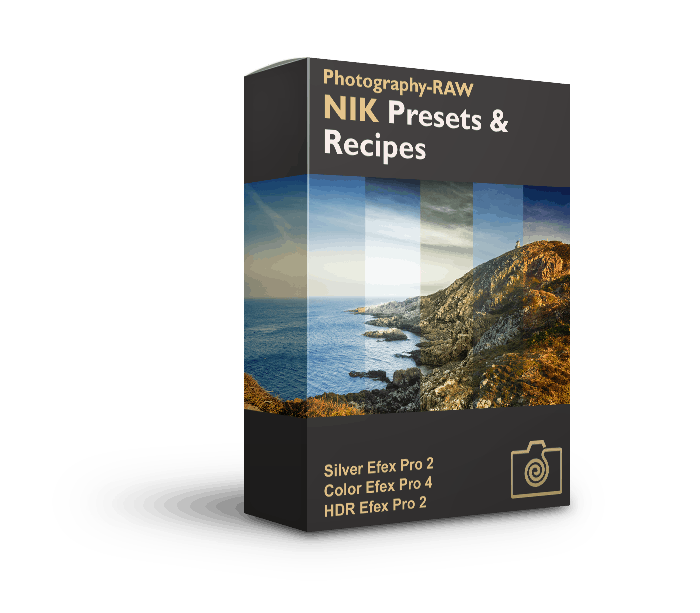 The Nik Collection plugins were mainly developed to use with applications like Photoshop and Lightroom, and other photo editing software. But Affinity Photo wasn’t around when Nik Collections was actively developed and updated, so it doesn’t recognize Affinity straight away in the installation process. However, this doesn’t mean that you cannot get Nik Collections to work with Affinity Photo with a little workaround. Note after DxO launched their version of Nik Collection: DxO says that they don’t officially support integrating with Affinity Photo. If you cannot get it to work, by following the below guide, and you still have the old free version from Google, try to re-install that once you have cleaned your Mac from the DxO version. To get Affinity Photo to work with Nik Collection, you need to install it a second time, but in another folder. Now, open up a finder window and go to the Applications folder. 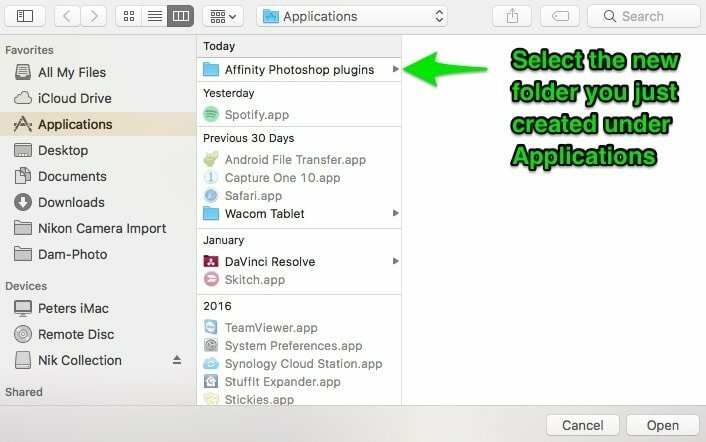 Create a new folder and call it something like “Affinity Photoshop Plugins.” In this folder, you can install all your Photoshop plugins. After going through this tutorial, all your plugins installed in this folder should automatically be detected by Affinity Photo. Next, you need to reinstall the Nik Collection. Double-click on the .dmg-file you downloaded from the Nik Collection website, following the link above. Click on the Nik Collection App to begin the installation. 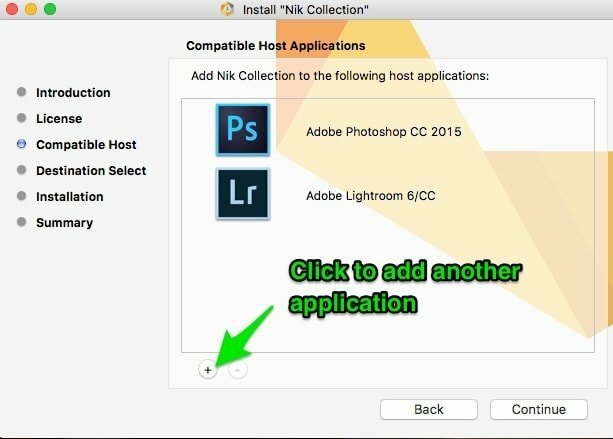 During the installation process, on the Compatible Host screen, you need to choose which compatible applications you want Nik Collection to work with. However, as you can see Affinity Photo is not listed here. Click on the plus sign and navigate to Applications and choose the “Affinity Photoshop Plugins” folder that you created just a few minutes ago and click Open. Next, click continue and finish the installation process. After the installation has finished, switch to Affinity Photo. 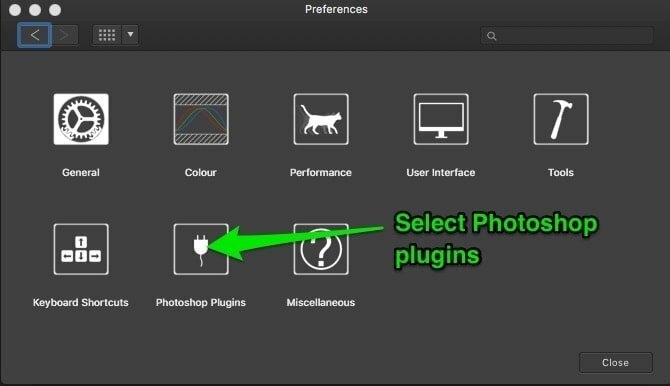 In Affinity Photo go to Preferences and select the Photoshop Plugins button. Under “Plugin search folders” select “Add” (#1 on the screenshot below). Next, navigate to the Affinity Photoshop Plugins folder that you created under Applications. Highlight the folder and click OK. 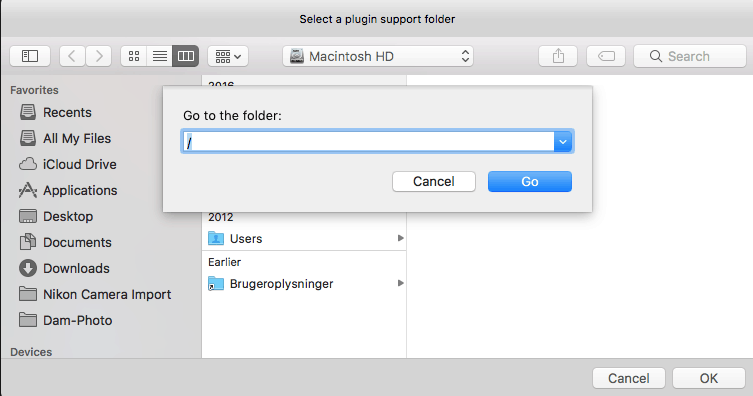 Under “Plugin Support Folders” select “Add” (#2 on the screenshot above). In the popup finder window that appears, press SHIFT + CMD + G. This will bring up the Go to the folder dialogue, as you can see below. Just enter a slash sign “/” and press the Go button. Press OK, to close the finder window too. Finally, press “Close” to confirm the Photoshop plugins changes you have made. Affinity Photo needs to restart to load the new plugins. After restarting you can go to Preferences > Photoshop plugins, and you should see that Affinity Photo now recognize the Nik Collection under Detected Plugins. If you open an image, you should also be able to activate the Nik collection plugins like Viveza or Color Efex by going to Filters -> Plugins -> Nik and then selecting the plugin that you wish to use. Now you use and enjoy the Nik Collection just as you would if you were using Photoshop. A note on using Nik Collection Plugins in Affinity Photo is that it applies the plugin filter effects to the active layer and not a new layer as you are used in Photoshop. This means, that before using one of the Nik Collection Plugins you just need to duplicate the layer by pressing CMD + J in Affinity Photo and make it active before running the Nik plugin, so your workflow remains non-destructive. 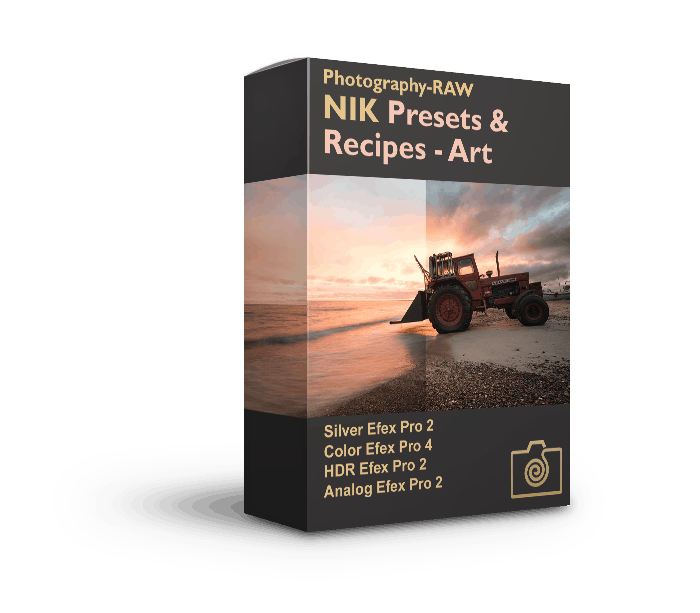 Combining Affinity Photo with the free Nik Collection plugins is a powerful combination, at a fraction of the cost compared to Photoshop. 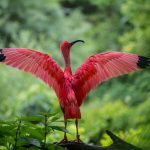 As a photographer, I doubt that you will feel that anything is lacking in Affinity Photo, as it is a real competitor to Photoshop. 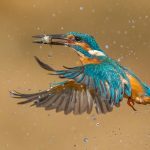 You just need to get used to doing things a little differently, but with a little patience and your Nik Collection plugins working, you will be up to speed in no time. 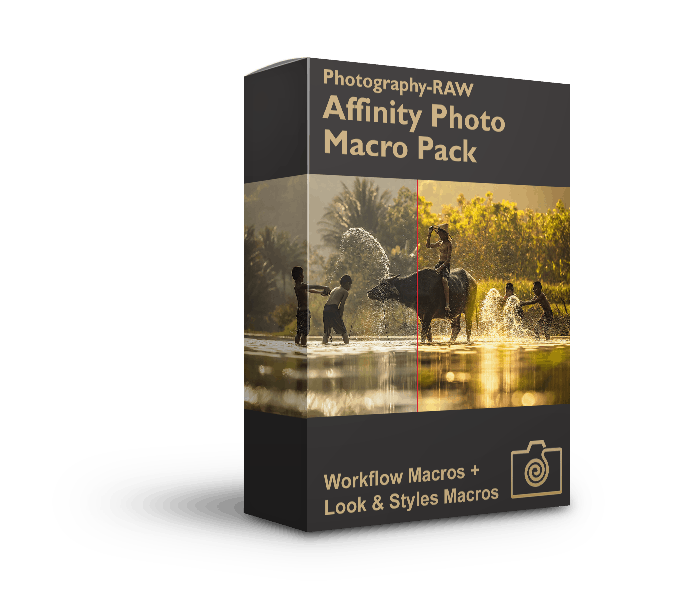 If you use Affinity Photo, I suggest that you take a look at the Affinity Photo Macro pack for Photographers, which will speed up your post-processing workflow and help you get the look you love in no time. 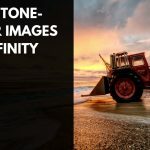 Best tutorial for installing Nik Collections in Affinity Photo. Thank you so much. Before I saw your tutorial I lost many hours. Thanks for the feedback. 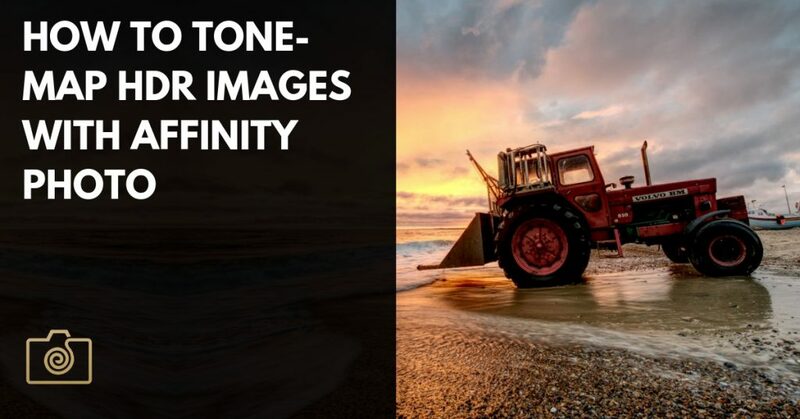 Great to hear it helped you with installing Nik Collections in Affinity Photo. Thanks for the feedback, Dave. Thanks for taking the time to create this tutorial. Your instructions were straightforward, and unambiguous. I was able to install the plugins on the first attempt. You’re welcome. Glad you liked it. Thanks for commenting. Absolutely top notch, Peter! 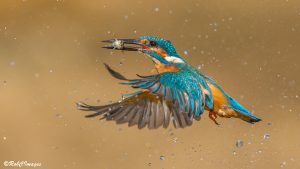 I am a X-Photographer and next to Affinity Photo I use Photo Mechanics and Aperture (now Fotos). 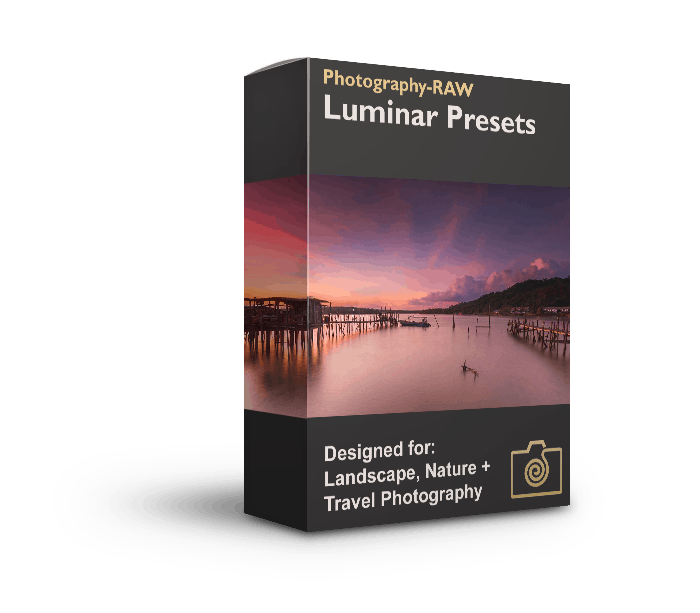 I try Luminar, Tonality and Aurora – but it’s not the same like the good old Nik thing. 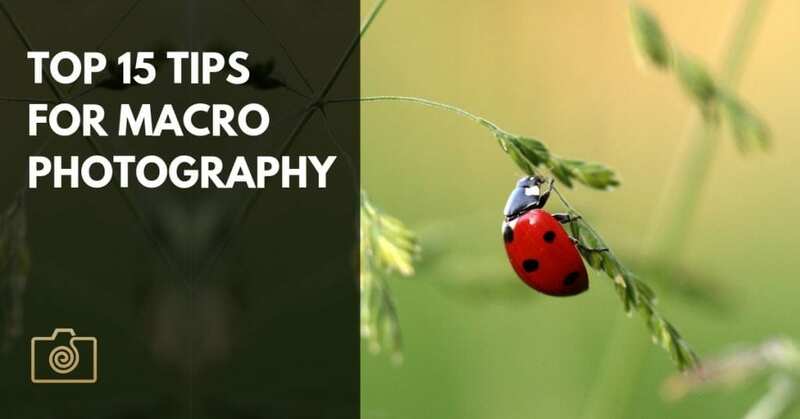 Thank you so much for this superb tutorial – great! So how do you do it with Windows? I’ve just followed the above instructions (which were easy to follow) but the only plugin that works with Affinity is the HDR Efex Pro 2. All the others are greyed out. What has gone wrong? I have never encountered this issue before. If it was me, I would probably try to uninstall Nik Software and re-install it again, reboot and see if it works. I will try to search for a solution for this, and post it here, if I find it. I have the same problem, but only with some images. I used the HDR Merge in Affinity Photo to make an HDR image, and only saw the HDR Efex option (even though Color Efex is green in the Preferences dialog). Tried, quitting, and even rebooting the computer, same thing. So I exported the file as a TIF to use Color Efex in Photoshop, but opened the TIF in Affinity Photo to adjust something and noticed that all Nik plugins were available. I don’t know why they were there for the .tif and not for the .afphoto file, but as a workaround it’s preferable to going back to Photoshop (for me, anyway). I too am having this issue they show up, but they’re grey and unusable. Kinda bummed, but the tutorial was easy to follow, so I might try to uninstall and reinstall. Nevermind, it was me being stupid. I usually assume its a user error when I run into problems like this. lol. Thank You, great tutorial!! Thanks a lot for commenting, Gary. All I have to choose from are color Efex pro 4 and analog Efex pro 2????? It’s a good description of what to do, except……. After updating my Apple OS system recently, DxO forced me into a trial or buy situation, I’d previously used the ‘free’ version previously. Your procedure didn’t work for me, neither did other excellent tutorials. 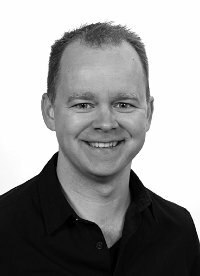 Today, DxO state that they do not officially support the Affinity/Nik combination and direct enquirers looking for support to your web site. 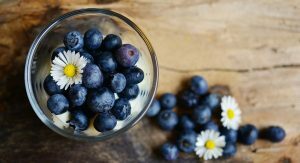 I have asked for a refund after what appears to be an absurd situation – take away what you had and then take your money for something that they do not support. Double whammy as I had previously paid for Nik on my Windows laptop prior to the takeover by Google. It sounds like a peculiar situation with DxO, forcing you to upgrade, and then saying that they don’t support it. I can understand your frustration with DxO. Anyway, could it be that you have both the free Google Nik version and the DxO version install at the same time. 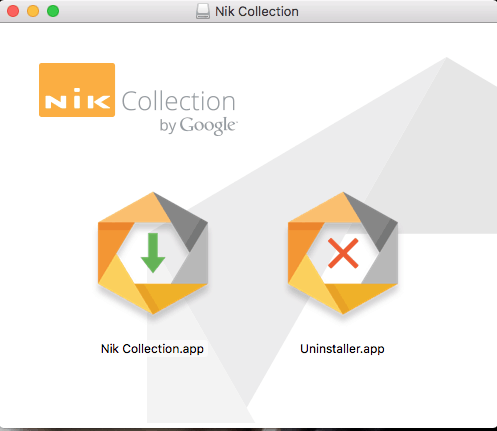 Do you still have the old install files for the Google Nik Collection? Try to uninstall all Nik versions and then re-install the old free Google version, to get you up and running again. That would be my suggestions, even though it doesn’t tackle the refund issue you have with DxO. From what I have found on the Affinity Photo forums, DxO Nik Collection should work with Affinity Photo on Windows even though it is not officially supported, but there are issues on getting the DxO Nik Collection to work on a Mac. I will put a notice at the top of this post, that DxO says that they don’t officially support integrating with Affinity Photo. 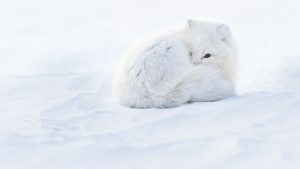 I hope you can get it to work, by re-installing the free version, once you have cleared your Mac from the DxO version. 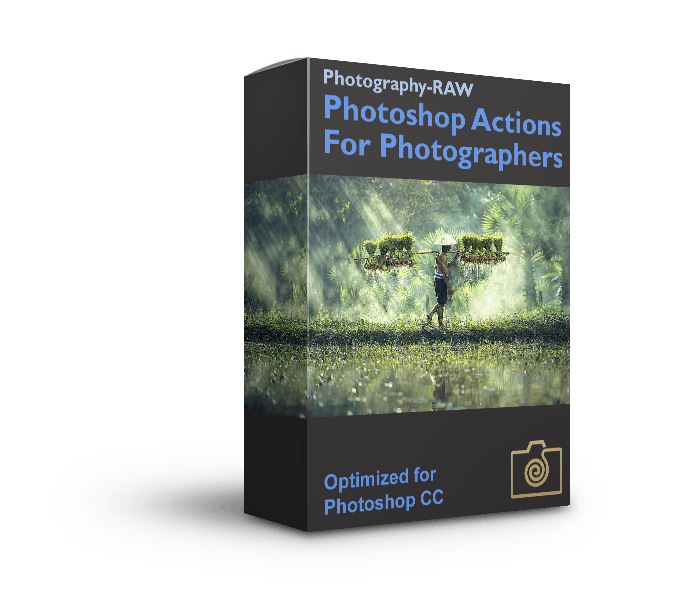 Does Affinity have smart layers/objects like Photoshop? I rely on these when using Nik (Google free version) because this is the only way to enjoy non-restrictive Nik editing. Meaning I can revisit an image in Photoshop, double click the Nik smart layer, see every control point as I left them previously, roll my sleeves up and pick up the edits from where I last left them. If Affinity offers the same smarts, I’m in, and will use your excellent instructions to install. Thanks so much for this. After updating to Mojave, CS5 started crashing every time I tried to use Nik plug ins, I bit the bullet and purchased the Dxo version but it still randomly crashed. 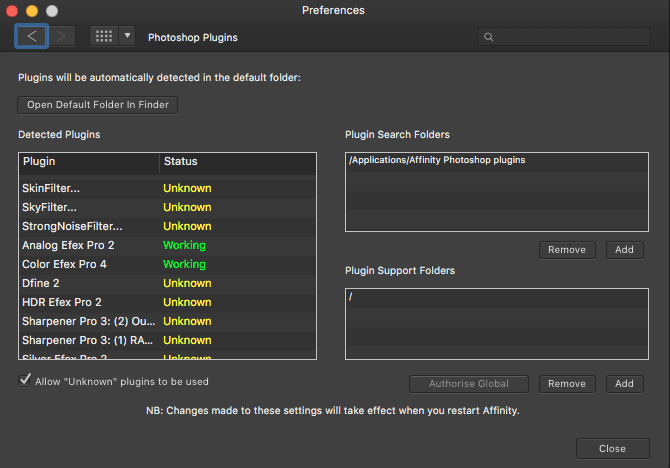 Really want to avoid subscription to Adobe so trialing Affinity now. It seems good.